Paying for college isn’t easy. Get advice and learn how to plan ahead, so you can save enough money to cover college tuition, room and board, and course materials. College has never been more expensive than it is today, so it’s never too early to think about paying for college for your child. The cost of tuition and room and board in 2016-17 was $20,090 for a four-year, in-state school and $45,370 for a private, four-year college, according to the College Board. That’s up by 2.7 percent for in-state colleges and 3.4 percent for private schools when compared to the figures in 2015-16. Many students also spend longer than four years to get their degree, so they incur even more fees and are saddled down with loans. Tuition prices are getting costlier every year and the student loan crisis in the United States is evidence of that. Some 44 million people in the U.S. have about $1.3 trillion outstanding student loans. How can you plan ahead and avoid taking on exorbitant student loan debt? Get started thinking about paying for college today. It’s a falsehood that only the wealthy save for college. Families can begin thinking about paying for college by putting together an education savings budget. For starters, go online and plug in your information into a college savings calculator to get an idea of what you will need to save to pay for a degree. 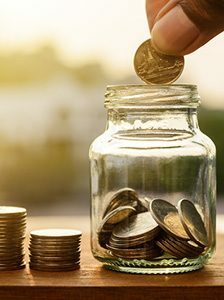 To save for college many parents opt for 529 plans, which is an education savings account that provides tax deductions. The benefit of a 529 plan is that the money increases tax-free. And you can save for your child, niece, grandchild or anyone in your family. Contribute up to five-years worth of savings without paying gift taxes. Let your family know about your 529 plan so they can contribute birthday or holiday money there instead of buying gifts. 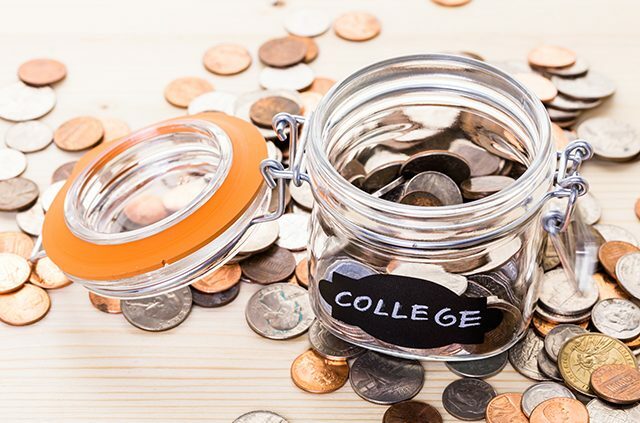 While it’s always better to start saving earlier rather than later, opening a 529 plan for a high school student is also valuable. The plans are sponsored by states, but students can take their money to any out-of-state college. There are no taxes assessed when the money needs to be accessed for college. 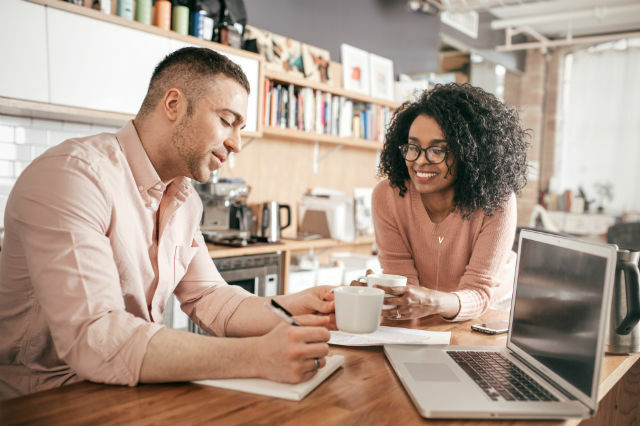 Choose from either a 529 savings plans, which will grow based on your investment options, or open a prepaid plan that allows you to pre-pay all college expenses. To enroll in a 529 plan, contact your financial adviser or get in touch with a 529 plan manager. Student loans are one option for paying for college. Very few students have the liquid cash to pay for college in full without taking out loans or needing scholarships. Before applying for private or federal students loans, see how much money you can get in scholarships and grants. Grants decreased the cost of college for 70 percent of full-time undergraduates from 2011-12, according to the College Board. The best part is: You won’t have to repay scholarships or grants, which makes these funding options ideal. Prepare your child to win scholarships early in their schooling by encouraging them to get good grades and be active in the community. Your next option – after using cash, grants and scholarships – should be federal loans. Federal loans have flat interest rates and income-based repayment plans. The Perkins Loan and the Direct Subsidized Loan are the two federal student loan programs. Perkins Loans are fixed at 5 percent interest. 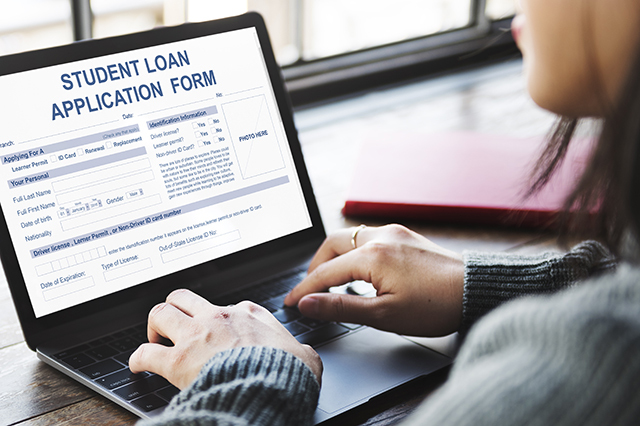 The downside is undergraduates and graduate students have a respective borrowing limit of $5,500 to $8,000 per year and a total of $27,500 to $60,000. Students who fill out a FAFSA and show that they have the financial need are also eligible for Direct Subsidized Loans, which have a current fixed rate of 3.76 percent. The limit for those loans are $3,500 to $5,500 annually and $23,000 in total. Consider all of your federal loan options before you take out private loans through a bank or credit union. Only turn to private loans once you’ve exhausted all other options. The interest rate on a private loan will depend on your credit score. Also consider tuition waivers that are offered for teachers, veterans and dependents of college employees. To help with the cost of college, students may want to also considering working part-time or enrolling in federal work-study program. Thinking about the costs of college can be overwhelming. But a college degree should be considered an investment. Getting an education matters, especially in terms of your future salary. The median weekly earnings for a person with a doctoral degree is $1,623; $1,341 for someone with a master’s; and $1,137 for a person holding a bachelor’s degree, according to the U.S. Department of Labor. The facts show that when you have a college degree your earnings will be higher than someone with only a high school diploma and your chances of unemployment are lower. Getting an higher education still pays off in the long term. Still have a question about paying for college? Let us know in the comments section and we will get you an answer from one of the many student lending experts at AAA Northeast. For more on student lending from AAA, go to AAA.com/StudentLending. Article tags: AAA, AAA Northeast, best college student loans, college student loans, credit, credit union, expenses, federal loan, federal loan options, financial, fixed rate, interest rate, interest rates, lending, loans, loans federal, paying for college, perkins loan, private loans, save, savings, savings calculator, sponsored, student, student lending, student loan debt, student loan programs, student loans, the student loan.